Flame retardant chemicals are so prevalent today that even polar bears in the Artic have been found to have flame retardants in their bodies. Why should we worry about flame retardants? For decades scientists have known that the most common flame retardants (specifically brominated flame retardants) are quite toxic to human health. Is my family exposed to toxic flame retardants? For sure. We all are; 97 % of all Americans tested had flame retardant chemicals. Flame retardants today are used on tv sets and other electronics, upholstered furniture (sofas, chairs etc), mattresses, car seats, interior of cars, insulation, wiring etc. Children, particularly, tend to have higher levels of certain brominated flame retardants than adults do because of their how often they are crawling, playing or laying on the floor where they are in close contact with dust, which is where these chemicals migrate too after leaching out of the products they are sprayed on. Additionally, daily use infant products including car seats are of special concern to parents since many expose infants and young children to these chemicals at a particularly vulnerable time in life. After receiving so many comments and feedback on Non-Toxic Munchkin's three past posts on flame retardants in car seats I realized it was time to get some answers to recurring questions from our readers. For this, I reached out to one of our nation’s top experts, Dr. Heather Stapleton, Associate Professor of Environmental Chemistry and Exposure at the Nicholas School of the Environment at Duke University. Dr. Stapleton has focused her career on studying the accumulation and transformation of brominated flame retardants in the body and was one of the first scientists to realize that certain flame retardants enter our body through household dust. She is one of the 'bosses' on flame retardants in the US and she is also a mom having to buy the same products we all need for our kiddos. I read about her a couple of years ago in the book Slow Death by Rubber Duck: The Secret Danger of Everyday Things , kept on hearing about her research through the years and then came across her name yet again this year when researching Duke University’s Superfund Research Center, where she is leading a study on flame retardants in common household foam items from around the country, including car seats. Non-Toxic Munchkin (NTM): What has surprised you the most about brominated flame retardants through your time studying them? Dr. Heather Stapleton (HS): What surprised me the most is how often we see them in products where we don't' expect to see them, or where they are not really needed. For example, we've seen flame retardants in polyurethane foam collected from baby bath mats, and in a pair of ski goggles. It's likely that these products do not need to be treated with flame retardants. Either they are added because there is a presumption that it would make a "better" product, or someone purchased some flame retardant foam at a reduced price and used it in these products. I also have concerns about the use of flame retardant chemicals in some infant mattresses that are made exclusively of polyurethane foam. It's my understanding that these mattresses are so small in size that they can pass the federal mattress flammability standard without the addition of chemical flame retardants. Again it appears that they are added because they are perceived as a benefit, even if they are not technically required. NTM: What are the most common routes of exposure to brominated flame retardants? What products expose us the most? HS: For brominated flame retardants the main route of human exposure is believed to be exposure to contaminated dust particles in the home. While we don't typically think of ourselves as consuming or inhaling dust particles, everyone does on a daily basis, and this appears to be how brominated flame retardants enter our bodies. However, today there are increasing uses of organophosphate flame retardants (which are replacing brominated flame retardants), and while there is some exposure through dust particles, early research indicates that inhalation may be a more important route of exposure for the organophosphate flame retardants. Currently we do not know which products lead to the greatest exposure to these chemicals. NTM: As you just mentioned, we know (thanks to your research!) that flame retardants migrate from furniture foam to dust - what happens as time goes by? After, say, 10 years do you see less flame retardants migrating out ? Is it safer to buy a second hand furniture or is the opposite true? HS: We don't know. There are a number of factors that influence how much of the flame retardant migrates out of the furniture over time….density of the foam, the type of upholstery, the concentration in the foam, how well used the furniture is, etc. So it's impossible to answer….all we do know is that they are likely to migrate out over the lifetime of the product. NTM: Is there such a thing as a ‘safe’ and ‘non-toxic’ flame retardant chemical? HS: There are likely flame retardant chemicals that may be considered safe and non-toxic. For example, there are likely several hundred different types of flame retardant chemicals, but we are only conducting research on maybe 20-30 different types. Currently there are some promising alternatives for use in polyurethane foam, but I don't know if they are on the market quite yet. Hopefully soon. NTM: Do products (ie: car seats and upholstered furniture) made in Europe contain less flame retardant chemicals? HS: We do know that residential furniture manufactured and sold in Europe (with the exception of the UK) are not required to meet any flammability standards, so I would expect them to contain less flame retardants, yes. However, I have not analyzed any of those products and cannot confirm if this is true or not. 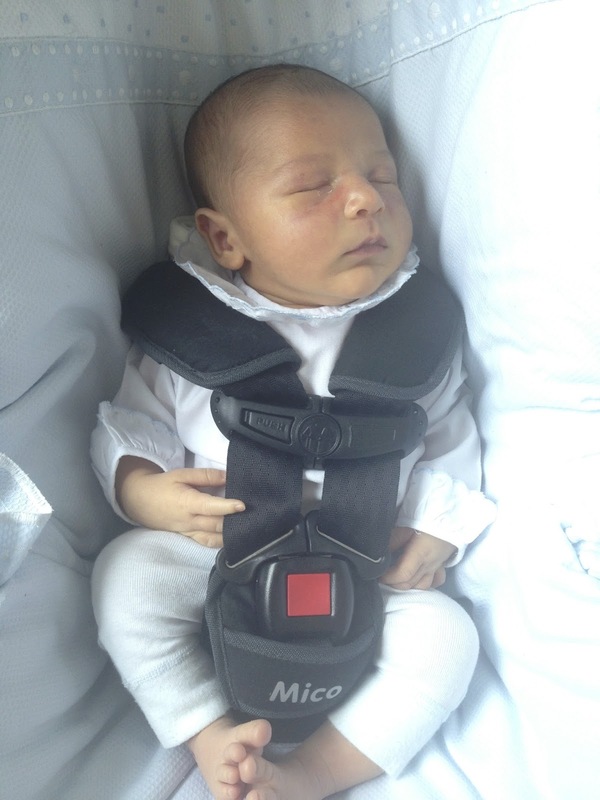 NTM: Would purchasing an organic, snug fitting fabric cover for a car seat help protect an infant from being exposed to the flame retardants in the car seat? In essence, can a fabric cover encapsulate the flame retardant, avoiding it from migrating out of the foam it is sprayed on? HS: It is likely that an extra cover over a car seat will help reduce the migration of the flame retardant from the seat, but it may not reduce it completely. To my knowledge, no one has measured the emissions of flame retardants from car seats, particularly with and without covers. NTM: Is there any child product/brand (car seats maybe? ) that the Duke Superfund has tested that has consistently shown not to contain toxic flame retardants? HS: For legal reasons, we are not allowed to release information pertaining to specific brands tested. This is primarily because we cannot confirm that the samples submitted to our Superfund program are actually from a specific brand. We rely on the information provided to us by participants submitting samples, but we cannot verify it's authenticity. I know this is a source of frustration, but my hands are tied unfortunately. NTM: We totally understand that- so what would you recommend to a parent with a baby on the way, and a limited budget, who wants to avoid exposing their baby to toxic flame retardants? Where is their money best spent? HS: To avoid exposure to flame retardants, it is best to ensure that the products the baby are touching most frequently are free of flame retardants. For example, make sure the mattress the baby sleeps on is flame retardant free. The same could be said for portable mattresses/cribs. Most new nursing pillows, strollers and baby carriers should be flame retardant free since they were exempted from the residential flammability standard a few years ago. Clean often. Keep the inside of your house, the floors, the inside of your car, your rugs/carpets dust free. Use a damp cloth or a vacuum with a HEPA filter. In general (and especially for baby products) seek out products that do not contain polyurethane foam. Certified organic products cannot contain flame retardant chemicals. Read the tags on furniture. If the tag mentions CA TB 117 it definitely contains flame retardants. Two new tags representing laws out of California can help you identify furniture that does not contain flame retardant chemicals . Later this week we will be posting an update to our guide to buying flame retardant free furniture. Take action. Contact state legislators, support legislative change to take out flame retardants from household products, especially baby products. Flame retardants doused on an infant car seat, unfortunately, cannot save the lives of a baby inside a burning car.